We offer vital support to SIM workers serving in East African Sending Office, Eritrea, Kenya, South Sudan, Sudan and Tanzania. The services to be a testimony in the quality of their work, as they support the countries in the region in reaching those living and dying without Christ. We desire to see relational transformation of our community, through intentionally pursuing the lost and increasing the number of growing, reproducible Christ followers. The Maures (Moors) are made up of Saharan and Arab-Berber people of Arab origins. They are the Muslim warrior movement called Almoravide, comprised of the Sanhadja, the Lemtuna, and the Zenetes. This group began around 11th century, and the Maures dominated Gambia, Mali, Mauritania, Morocco, Senegal, and southern Spain. The Maures speak Hassaniya. They live a nomadic lifestyle in tents, and are a closed society, structured into two major groups: the Zaouias of Tolba, who are marabouts (religious leaders), and the Hassans, who are warriors. The White Maures are of Arab-Berber origin, and are the upper class, and the Black Maures, who are descended from the black slaves captured by the Arab-Berber traders, are the lower class. The Maures raise camels and goats. They are also traders, blacksmiths, shoemakers, wood sellers, and griots (people who make music with songs of epic warriors, love, genealogy and history). The Maures are 100% Muslim, and belong to the Sufi Islamic brotherhood (with mysticism). They practice pre-arranged marriage, and the groom’s father requests the hand of the bride. A Maure woman can never marry against her family's wishes. A dowry is given to her. The son-in-law can never enter the tent of his in-laws, nor does he share their table or look them in the eye when talking. The parents of the bride can never visit their daughter when their son-in-law is present. Divorce is common. Because of the Maures’ nomadic lifestyle and raids among them, strict customs must be followed when different groups meet. They use different ways to express acceptance, rejection, and their level of involvement and interest, e.g. hand blows mean "I do not believe you," and a finger in the ear means "I am not interested in the discussion." Pray for the Lord to open the hearts of the Maure to the love of Jesus Christ. Pray for the Lord to destroy the stronghold of Islam, mysticism, and animistic practices among the peoples in Mali. Pray for discernment, knowledge, and harmony among a church group and another entity who will embark on a vision and survey trip with our team among the Maure people in Mali in February 2018. Pray that our time together is productive. 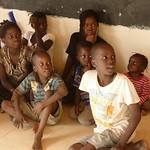 Pray for the Lord to raise laborers to serve in Mali. Pray for the grace of God and the power of the Holy Spirit to strongly rest on the few mature believers in Mali, so they are compelled to boldly share their faith with those who do not know Christ. Pray for God to increase house church movements in the Niamana area and that believers in these house churches will grow spiritually. Pray that house churches will increase numerically as well. Of the 96 million people in North Africa, only a relative handful worship the Lord Jesus Christ. We seek to creatively cross barriers into the Muslim world of North Africa, proclaiming the Gospel where Christ is not known. By developing partnerships with like-minded organisations, we aim to accelerate placements of personnel where they are most needed. We envision expansion into the urban centres along the Mediterranean Sea through missional businesses and through professional consulting among the most vulnerable segments of society. We aim to establish creative ministries among the six desert tribes of the Sahara Desert, comprising 7.5 million people. We are creating businesses focused on hiring young people. 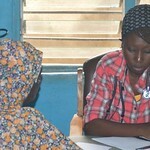 We are equipping and helping establish them as productive members of society. We want to demonstrate the transformative impact of Christ, and see whole families follow Him. In many Muslim cultures, special needs children are considered a cause of shame. Mothers and daughters struggle to care for them in unseen rooms without assistance or training. Many are suffering. We have partnered with those whose vision is to bring the light of Christ into this darkness. They enable local initiatives, creating spaces for disabled people and caregivers to grow, learn, gain skills and simply be loved. Six of the 100 ethnic groups in North Africa are desert nomads. Very few are bringing the Gospel to these 7.5 million people. 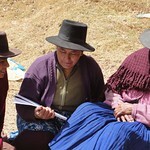 Working with nomads is challenging, requiring creative solutions to where we live and how we minister to them. We are finding ways to meet them from the coastal regions in the north, and from the southern Saharan countries. Pray for God to use our new businesses to open doors for many other missional businesses. new businesses in North Africa as they invest and help us find more workers. Pray for more professionals to serve those with special needs, the dying, and people at risk. Pray for more workers to reach nomads and for ministry opportunities to arise for those regions. SIM Côte d’Ivoire glorifies God in working together with the body of Christ to make disciples from all nations and to equip them to transform societies. 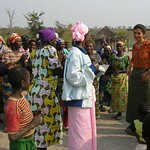 The Dioula Malinke are a Muslim ethnic group in Côte d’Ivoire. Some ministries like Maison Dorcas and the church planting movement engage with them frequently. We are looking for ways of partnering with a missionary who works among this Muslim community in the north. Pray for new missionaries willing to work in this area. Pray for effective use of broadcasting platforms and for economical ways to broadcast from our stations up-country (Abidjan, Abengourou, Bouaké, Man & Yamoussoukro). Pray for the new station being established at San Pedro in southern Côte d’Ivoire in 2017. Pray for technical equipment and necessary support. Pray for the street children and orphan ministry, that many would be touched by the love of God. Praise God for two of them who passed their final exams and two others who are learning car mechanics. Pray for wisdom in how to encourage new missionaries to join us. Pray for believers, including missionaries, to model godly relationships and Christian compassion. Almost 120 years after the first missionaries came to Bolivia to reach the unreached people groups of the Andes, the Bolivian church is increasingly engaging in missions. More and more Bolivians are responding to God's call to make disciples. At the same time there are still a lot of communities within this beautiful and diverse country where the good news of Jesus Christ is hardly known. Therefore, as a team we work with the local church both in mobilization, disciple-making, and in reaching the least reached of Bolivia. Read our stories to know more about our work! Living in the Yungas region of Bolivia with a population over 18,000, the Tacana people are largely agricultural. Their traditional, animistic beliefs are strong and place great importance on the chamanes, or witch doctors, to provide herbal medicinal cures and protect the well-being of the community and the universe. SIM Bolivia is looking for creative and effective ways to address spiritual and physical needs of the Tacana people as they work alongside a local couple who have the desire to reach their own people with the gospel. Potosí is a city that clings to the side of a beautiful mountain, but many have died inside its mines. The miners acknowledge it to be the devil’s domain and daily make sacrifices to his image. Who can break down barriers to reach this close-knit, tough group of miners? Who will come to know the story of abundant life in Jesus Christ? Whose feet will be beautiful on that mountain, bringing the good news? Pray for Bolivia! Pray for the people of this beautiful and diverse country. Pray that from the heart of Latin America a light may shine for the rest of the world. Pray for all the people who haven’t heard God's good news. Pray that we can make disciples of Jesus Crist among them, so all of Bolivia will sing God's praise. Pray for the mobilization of the Bolivian churches. Pray for the candidate missionaries in their journey. Pray that the churches may recognize more and more their role in missions. Pray for the local churches, that they may grow both in number and in depth of their understanding of God. 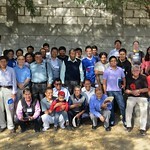 Pray for the team of SIM Bolivia. Pray that the missionaries may be firmly rooted in God and in his Word. Pray for unity in the team. Pray for the government of Bolivia. Pray for peace, joy, and justice in this country. Pray to the Lord to send more workers into this field. cross barriers to proclaim Christ. disciple believers into biblically healthy churches. work together with churches to fulfil God’s mission. facilitate participation in cross-cultural ministry. sending missionaries from Canada around the world. receiving missionaries to Canada from around the world. serving as missionaries in Canada alongside the Canadian church. The First Nations, Inuit, and Metis peoples of Canada have been exposed to the gospel with mission work dating back to the time of early fur trading and subsequent colonisation. In recent times, however, the church has been portrayed largely in negative terms particularly over much publicised mistreatment of Indigenous people in residential schools, many of which were run by churches. In addition, the Christian message in many First Nations communities has often been misrepresented and misunderstood over the years, resulting in many ‘mis-reached’ rather than ‘unreached’ First Nations people and communities. 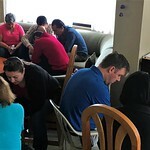 SIM Canada, other missions, and church denominations are attempting to address the ‘mis-reached’ in small but effective ways, both on First Nations reserves and in the cities. Pray in faith that the real truth of the gospel will be both shared and accepted among the Indigenous peoples. Pray particularly for innovative ways for Christian workers to reach Indigenous youth both within traditional church settings and outside of the church – whether on reserves or in the cities. Pray for reconciliation with the churches and Indigenous peoples on wrongs and hurts of the past, and for true healing to occur. Pray that God will transform Indigenous communities and that his name will be redeemed. 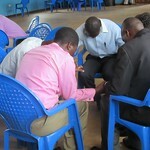 Pray for deepening engagement and partnerships with churches and donors. Pray for the growing ministry of reaching diaspora communities with the gospel in the increasingly multi-cultural cities of Canada. Pray for wisdom for the team engaging with numerous enquirers for missionary service in Canada and overseas. We desire to see people from all backgrounds loving their creator with all their hearts, loving their neighbours as themselves, and forming into loving communities. The largest community in Bangladesh is also one of the mega-people groups in the world. Made up of Muslims and Hindus, much work has been done amongst them since the time of William Carey. We praise God for increased transformation over the last 40 years, but compared to the size of the population, this can be discouraging. The Christian community in the country is often inward looking, socially and culturally isolated and, more recently, persecuted as a minority. The capital, Dhaka, is made up of 16 million people. Pray for people we encounter to be open to hearing and accepting the Word of God. Pray for our workers who are experiencing spiritual warfare in the forms of exhaustion, depression, and anxiety. Pray for a favourable relationship with the government. Churches expressing God’s love and compassion, serving their communities and reaching out with the gospel to the vulnerable among them. The church of Loja passionate to support gospel workers in Loja and the world. The people of God capable of serving effectively in ministry. A church planting movement that reproduces communities of Jesus followers in least-reached, rural areas of the Loja province. Families being transformed by the gospel in southern Ecuador. 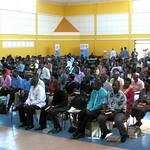 Young people making disciples and modelling a holistic, Christ-centred life in their communities. Missionaries flourishing beneath quality administration and member care. Missionary kids grow up to be personal followers of Jesus. The town of Cariamanga in the rural area of Loja province is part of a new priority area of SIM Ecuador. Of the 77,000 people in Cariamanga, around 0.1% are forming Christ-centred communities. Many people remain strongly tied to Roman Catholicism, but they don't always know Roman Catholic doctrine very well. People practice a "folk-Catholicism," namely animistic beliefs mixed with traditional Catholic church life. Healers, shamans, and superstition are as important as the practices of the traditional church. These beliefs still impact the lives of evangelical believers, who face opposition when they deny the traditional beliefs of their family. 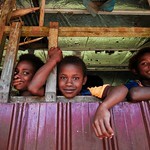 Around 12-15% of this area’s population are illiterate. Youth continue to move to cities. The few small churches that exist need resources and training in evangelism, discipleship, church planting, and doctrine in order to make an impact in their communities. The churches need a vision for the lost and scattered people of their own region. A major obstacle are the many present sects, which distort the teaching of the gospel and confuse believers. The need for gospel proclamation among the thousands of university students and youth between 15 and 25 years old in the city of Loja is receiving a greater focus than ever before. There is a clear vision to disciple university students and establish a ministry in the two main university campuses in Loja. Students and young workers are looking for a brighter future, and through relationships, we seek to reach this community. 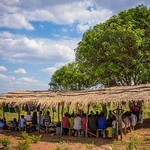 Pray for believers in rural areas to be courageous ambassadors for Christ. 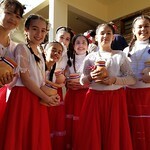 Pray for efforts in rural Loja Province to connect and support churches through teaching, resources and outreach. Pray for wisdom and direction as we work with others to establish a ministry on the two university campuses. 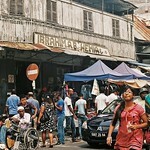 Pray for continued work in urban areas alongside the local church. Pray for wisdom as we consider new ministries to least-reached areas of Ecuador. SIM first entered Eritrea in the early 1950s to partner with the Kale Heywet Church (KHC) but was expelled in July 2004. All SIM ministries have been closed, and evangelical Christians in Eritrea are undergoing severe persecution. Today, SIM supports a radio ministry (Selamna Radio) broadcasting to Eritrea and Eritreans in the diaspora in Tigrinya, a prevalent Eritrean language. 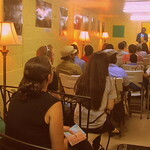 The vision of this ministry is to use radio and other media to reach the current generation of Tigrinya-speaking youth in Eritrea, Ethiopia, and beyond with the gospel and bring them on a disciple journey where they enjoy personal fellowship with God, express an increased commitment to Him and his church, actively participate in making disciples, and become leaders of integrity. Early in their history, the Afar were greatly influenced by Islam, and the religion is still held in high esteem. They do not eat pork, rarely drink alcohol, and those who can afford to do so make the annual pilgrimage to Mecca. However, many pre-Islamic beliefs and customs are still widespread among the Afar. For example, the spirits of the dead are believed to be very powerful, and a "feast of the dead," called Rabena, is celebrated each year. They also give annual offerings to the sea to safeguard their villages. Many people wear leather amulets that contain herbs and verses from the Qu'ran for protection. Pray for God’s help to produce radio programmes that will reach people in Eritrea and beyond. Pray for more Tigrinya-speaking workers to assist with recording and editing radio programmes. Pray for youth to fully commit to Christ and journey with Him faithfully. 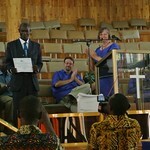 Pray for financial support to sustain the radio ministry. Pray for church leaders in prison, their families, and for peace and stability in Eritrea. Pray for born-again Christians who are being singled out because of their church affilitation and sent to prison, and for their children, who are left behind with unbelieving family members. Pray for the children of those in prison, that they will continue to be able to see God as loving. The CSEA regional office provides leadership to assigned countries, and management and administrative services to all the countries in the region. SIM CSEA provides the infrastructure to enable country-level priority ministries to grow and function well. Within Continental & Southeast Asia there are many diaspora communities that bring an interesting dynamic to local churches and mission outreach. The CSEA regional office is seeing the need to help these often marginalised or overlooked communities connect with local churches in and outside of the region. Since the ASEAN (Association of South East Asian Nations) treaty opened the borders between 10 nations in the region, it is becoming more obvious that doors are opened to Southeast Asian churches for sending missionaries to serve within their own region. Pray for more teammates to join the SIM CSEA team. Pray for the capacity to provide excellent media and communication to supporters, teams, countries, and partners for mobilising prayer, people, and resources. Pray for the CSEA office team to have listening hearts and skillful hands as they provide leadership services. Pray for good ministry team leaders to emerge, so that they can lead new initiatives and provide leadership in the smaller countries. Pray for good partnerships with host country believers and local churches, as together we reach the communities wher eChrist is least known. 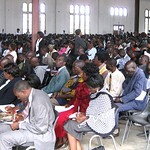 Zimbabwe fully evangelised, that no one may live and die without hearing the gospel and responding to it. Believers discipled to live out the gospel in word and deed. Christ's compassionate love shared among the poor, marginalised, and hurting.